The RGB.pd patch uses a tri-color LED to demonstrate the PWM (Analog out) mode of the Firmata firmware for the Arduino board. 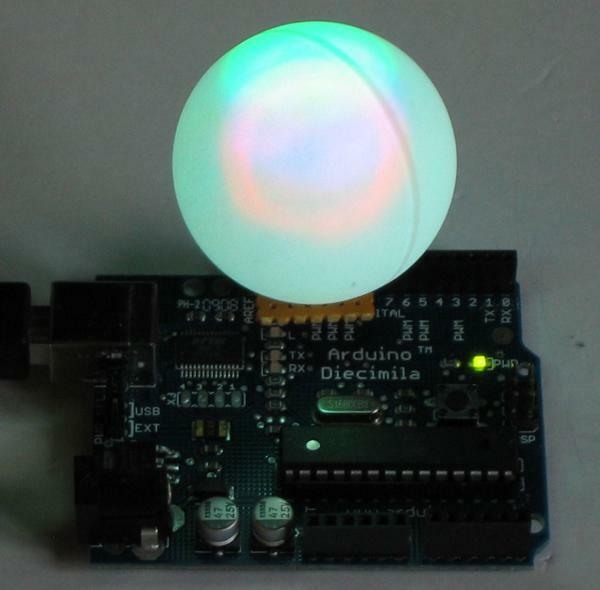 A RGB led. Mine had four pins, and a common cathode (minus is common). 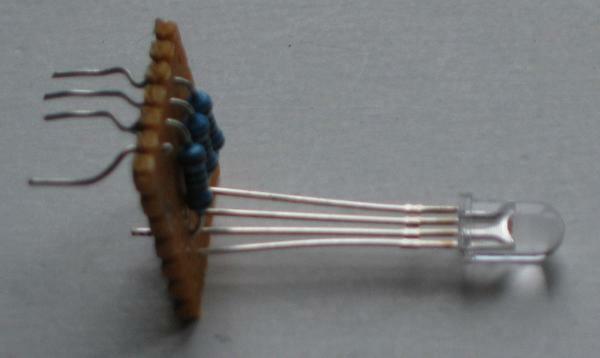 Three resistors to limit the current through the LEDs (I used 1 kOhm for all LEDs, but you might want to experiment). 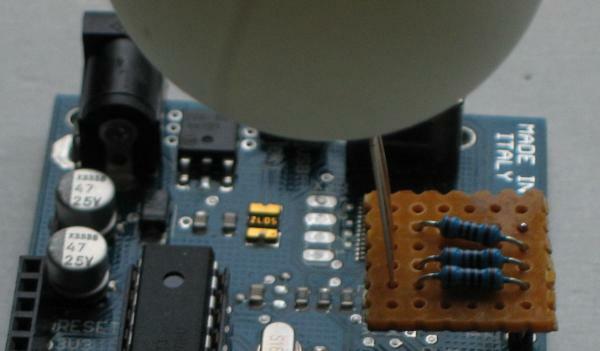 The resistors are connected to Arduino pins 9, 10 and 11. Pd-Extended. The patch itself uses only vanilla Pd, but the underlying arduino patch uses flatspace/comport from iem. The arduino patch has argument "4", which happens to be number my USB/comport has. You can find yours by sending the "devices" message to the arduino patch. Of course, using a computer running Pd is a bit of overhead for an Arduino board controlling a tri-color LED, but it was fun to make and a nice demo :-).